A beautifully kept little park with two playgrounds, one for toddlers and one for older children. 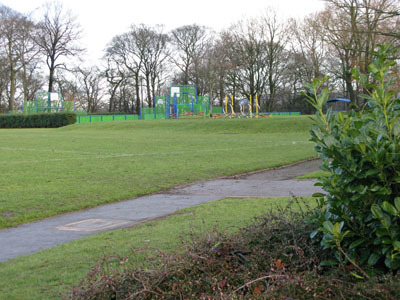 With a football pitch and landscaped grassy areas too this park appeals to all. A small car park and on-road parking makes the park very accessible. For those that like more of a walk, Woodbank Park and Poise Brook backs onto it and gives plenty of scope for exploring.